China Panorama have several departure groups for the holiday season, and we’ve gathered a brief feedback from the passengers who went before Christmas to know if there are problems so we can improve on the next groups. So far, they are happy and enjoyed their tours and says that it was worth their time and money. The hotels have great service, the foods are good, and the tour guides are very accommodating, kind, and knowledgeable. China Panorama attended the China International Travel Mart (CITM) in Kunming, Yunnan Province last November 12-15, 2015. China National Tourism Administration (CNTA) gave a warm welcome and deluxe service upon arrival of our delegates. 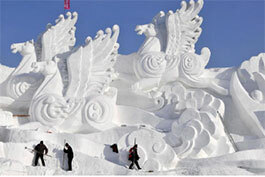 The delegates had a tour of Kunming, and attended a forum and various activities prepared by the organizers. 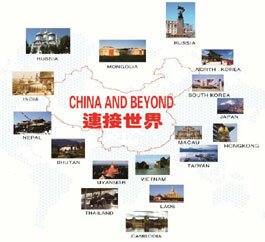 That gave them a chance to mingle with other countries’ delegates and operators of tours in provincial China and other countries. 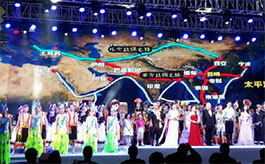 During the opening night, the mayor of Kunming gave a speech and the CNTA prepared a grand performance of how they perceive China in the future, the China and its neighboring countries, like India, Laos, Russia, Uzbekistan, Kazakhstan, Mongolia, and more. 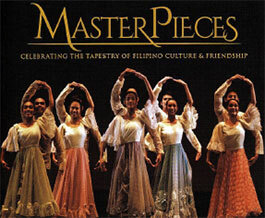 In celebration of the 40th Anniversary of the establishment of Philippines-China diplomatic relations, The Department of Foreign Affairs of the Philippines presents Ballet Philippines’ “Master Pieces: Celebrating the Tapestry of Filipino Culture & Friendship”, an assortment of classical ballets, neo-classical works and modern and contemporary dance pieces performed throughout its 46-year history. They have performed in 3 different cities, Chongqing, Xiamen, and Guangzhou. 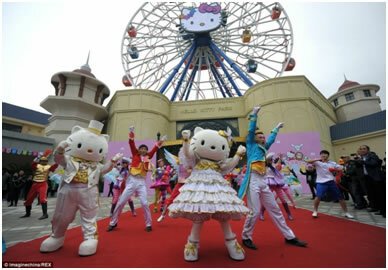 The performance earned high praises from the people who watched and garnered long and loud applause. 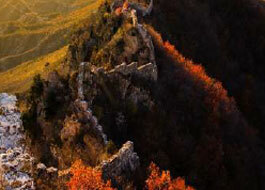 On our previous article, we have already discussed Zhangjiajie as a great M.I.C.E. destination. This month, China Panorama had a large group with more than 200 participants who went to Zhangjiajie for theirincentive trip. It’s just the first day in Zhangjiajie, and they were awed with the natural beauty of the land and ecstatic to explore and see more of what Zhangjiajie can show them. 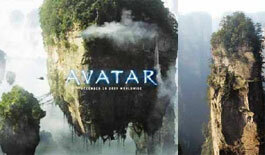 They were able to see the Yellow Dragon Cave, Wonders of Avatar, and the First Bridge under the heaven. 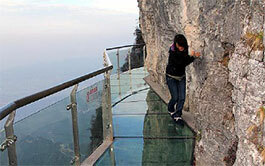 But unfortunately the next day, the weather didn’t permit them to see the Heaven’s Gate, the Tianmenshan Scenic Area clearly. Autumn in China is by far the best time to be here. The temperatures throughout the country are milder without the extremes you can experience in winter and summer, and without the wet you'll experience in the spring. While the days are getting shorter, you can have warmish daytime weather right into November in the north and central parts of China and in the south, you'll find it can still be quite warm. Depending on where you are, you can see some leaves changing color. The trees are especially beautiful in the fall. The leaves turn bright gold and can turn a sidewalk into a veritable Yellow Brick Road. Meeting, Incentive, Convention, and Exhibition (M.I.C.E) are type of tourism in which large groups, usually planned well in advance, are brought together for a particular purpose. to conduct a MICE is the Zhangjiajie (Wonders of Avatar - UNESCO World Heritage) 4 Days (EC9A).In a limited time, we can visit the highlights or important places of Zhangjiajie. Going to Zhangjiajie, we have two (2) transit points from Manila,one is via Shanghai, and the other one is via Guangzhou. 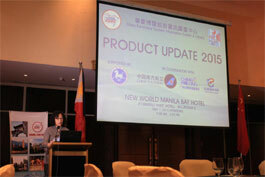 China Panorama together with China Southern Airlines, and Chimelong Group conducted a product update held May 7 at the New World Manila Bay Hotel, which was a success, with the support from China National Tourism Administration for ASEAN Countries, Directress Liu Xiao Hui; People's Republic of China Embassy, Ms Sabrina Huaying Zhang; Chimelong Group, Mr Leo Lam; Airlines such as China Southern Airlines (Mr Huang Xiang), China Eastern Airlines (Ms Channe Chen), Air China (Mr Wu Tong), Cathay Pacific Airways (Ms Coy Quines), Philippine Airlines (Mr Bryan Ang), and Xiamen Airlines (Mr Sean Huang). On May 07, 2015, China Panorama joining hands with China Southern Airlines and Chimelong Group with the support of China National Tourism Administration - ASEAN Office, will conduct a product update at the New World Hotel Manila Bay. It is a great occasion to formally introduce the new director for ASEAN Countries of CNTA, Liu Xiao Hui, to the Philippine tourism industry. And also a great opportunity to promote the CAEXPO (China-ASEAN Expo) in Guilin on May 29 - 31, 2015. This summer season, China Panorama has something up its sleeves. A new way to get to Mt. Putuo faster by 3hrs than the normal by coach. The Mt. 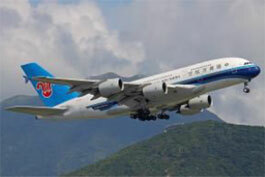 Putuo Express 3 Days by Air. It means the pilgrimage will be much longer and pilgrims will get to immense themselves in prayers. Depart Manila early morning to arrive in Shanghai at about 8am. Then connecting flight to Zhoushan. Same day ferry to Mt. Putuo. After lunch, begin with the pilgrimage. 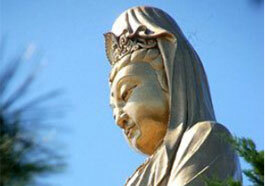 Next day, whole day pilgrimage on Mt. Putuo (including Mt. Luojiashan or Mt. Fodingshan w/ cable car).